In the five years Julia and I have been making sailing videos—vlogs—we have watched the industry change dramatically. What was once shaky handycam footage with poor audio has evolved into videos that rival Hollywood productions. 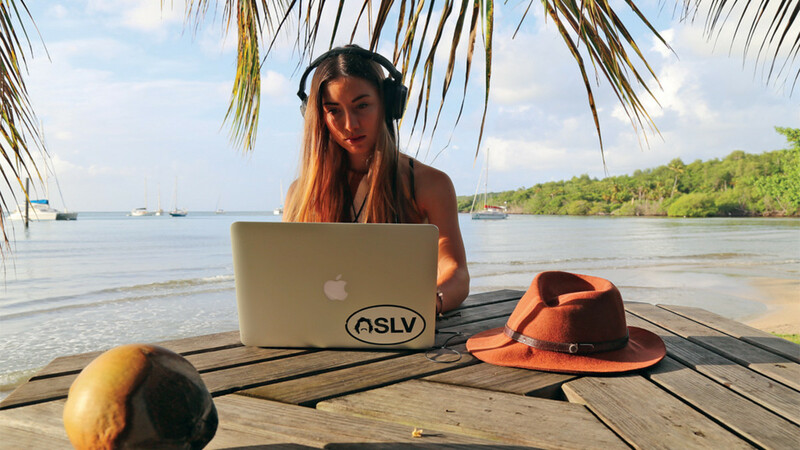 Sailing vlogs are no longer just something creators do in their free time, but have become sources of income significant enough to fund adventures around the world. Where did this change come from? One word...Patreon. A crowdfunding website designed for artists that regularly release free content, Patreon has completely revolutionized the sailing vlog industry by allowing creators to make money from their productions; Patreon has given the motivation and means for improvement. The industry now attracts better film-making talent and as a result, the quality of sailing videos on YouTube have skyrocketed. Many people assume—incorrectly—that making videos is an easy way to fund their sailing adventures—just film yourself doing things on your boat, throw it up on YouTube, and the Patreon money comes flowing in. This, however, is not the case. Making videos takes a good amount of time and patience. Boat projects take significantly longer, what with having to move and position the camera for each nut and bolt that you turn. Some of the experience of sailing is lost, as you constantly have your camera in front of your face anytime something exciting is happening. If it’s successful, though, a sailing vlog is a great way to earn income and finance your cruising lifestyle. If you want to earn those Patreon bucks, then you must satisfy the single most important factor—making quality videos. The number one ingredient in producing quality content is that you actually enjoy doing it. So you have decided to start your own sailing vlog. What actually makes a vlog good? Everyone has different opinions on what is good, but the best metrics for measuring performance are subscribers and Patreon pledges. People who click “subscribe” and those donating to your cause are saying they liked what they saw and want to see more. 1. Start with your phone. You (most likely) already have one. Most phones nowadays have cameras that rival low-end DSLRs. Everything is automated and simple; you don’t need any special knowledge to use them. While sailing, hiking, or doing any on-the-go adventure stuff, you need to have quick access to a camera, and your phone is perfect for this. It fits nicely in your pocket, has great battery life, and is always on and ready to go. You don’t want a huge DSLR to lug around. Don’t forget, you want to enjoy what you are doing! 2. Invest in sound. New vloggers tend to over-invest in video and under-invest in sound; they have great looking films that are ruined by mediocre sound quality. You know what has really good sound? Phones. Cell phone microphones are specifically designed to pick up voices. 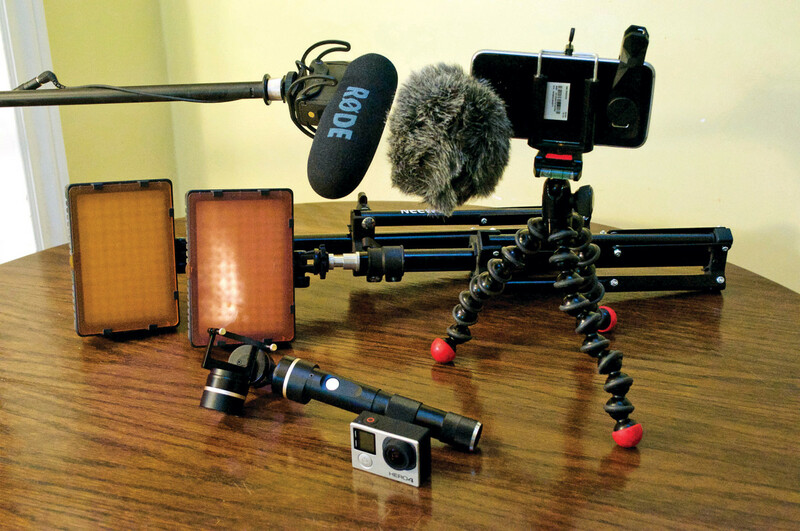 If you want to up your audio game a little, invest in a good shotgun microphone with windscreen, like the Rode VideoMic ME, which mounts directly on your phone. 3. Use the light. The beauty of sailing vlogs is that you rarely have to worry about lighting. Most of your filmmaking will occur outside, and the sun provides perfect lighting. Putting the sun behind you will separate the subject from the background which will produce a pleasing image. When filming indoors and faced with a single source of light (i.e a portlight), put that portlight behind the camera so it lights up your face. Rookie filmmakers will often put a window behind them as it is uncomfortable to look at but then you will end up with a dark shadow cast over your face. 4. Use quality music. This was a tough one when we first started vlogging as there simply wasn’t the kind of library of quality royalty-free music as is so easily found today. Start by searching YouTube for copyright-free music and find a genre that fits your style. 5. Start with simple software. iMovie and Windows Movie Maker come free with your computer, are simple to use and automate much of the post-production process. You can upgrade to more complex software in the future, but for now, keep it simple. 6. Personalize your style. Pick a film style that suits you and stick with it. Keep it consistent. Pick one thing that will remain consistent throughout your videos, something your audience can expect and look forward to. 7. Energy. You need to be energetic in your videos. Lethargy is boring. If you are not the energetic type, then fake it. Slam a coffee before you film. Whatever it takes. 8. Motion. Always be moving. It’s a film, not a radio show. Always be doing something, anything, while speaking to the camera. Avoid the talking head effect. 9. Keep each scene short. We live by the philosophy of ten. Never let a scene run longer than ten seconds. This includes your intro. Long intros lose their audience before the video has even started. 10. Change camera angles. Avoid long drawn-out shots from the same angle. Break up long pieces of dialogue with frequent camera angle changes. 11. Tell a good story. Think big picture and small picture. You need an overall grand story for your channel and a mini story for each episode, with its own introduction and conclusion. The good thing about a sailing vlog, is that it has a natural story progression to it; you never have to worry about coming up with new content. 13. Use enticing thumbnails. Next to production quality, the thumbnail is the second-most important aspect of your video. Your thumbnail should be bright and clear on what is being depicted. Remember the three B’s: Bikinis, Beaches and Boats. The more of these in your thumbnail, the more likely people are to click your video. Avoid overdoing it though, as you don’t want to build a reputation as a clickbait channel and lose the respect of the sailing community. 14. Relevant title and description. YouTube doesn’t know you are a sailing channel, so be sure to have the word sail in your title and description as often as possible. This way YouTube will know to suggest your videos to those that watch a lot of sailing vlogs. Shaun and Julia are about to set off on their next adventure on their Tartan 37, heading south for the Bahamas. You can follow “Shaun and Julia Sailing” on YouTube and Facebook.